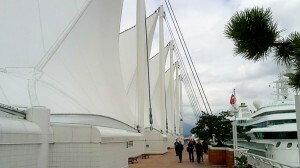 Canada Place in Vancouver – the white steel base at the bottom of the sails. 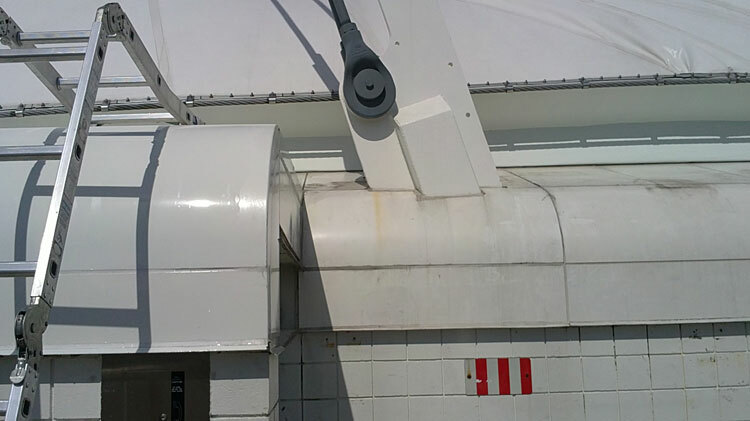 Eco Coat Protect-E-Shield was applied by airless sprayer on the white steel in the summer of 2010 to protect it from construction debris (such as hot metal chips from repairs) while the sails were being replaced. 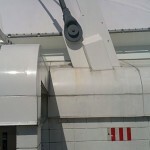 The protective coating was removed May 2011 with Converter-E.